Last night, it was heavy rains. 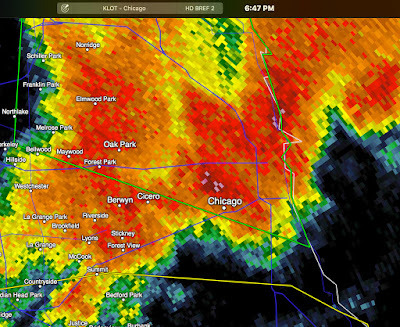 Tonight in Chicago, it is high wind damage. Via Twitter. It is damage to the covered walkway along the L Train between Chicago and Racine caused by high winds. Here is a Tweet. Again, caused by wind not lightning. Here is what the radar looked like at the time. There is other damage in the city. 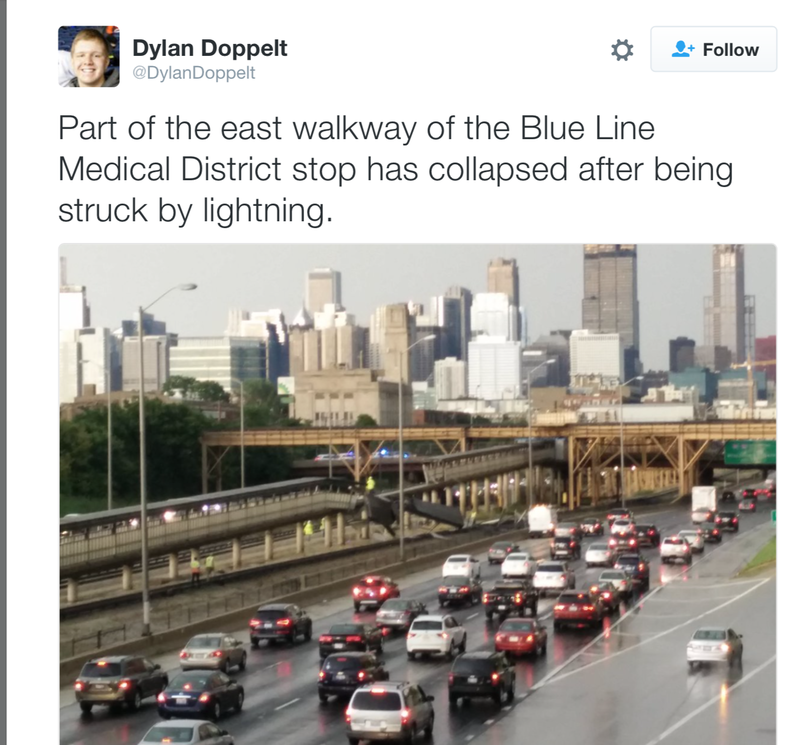 Portions of the CTA’s Red Line, Blue, and Brown Line service have been temporarily suspended because of damage to a platform and debris, including a tree, that fell onto the tracks during Sunday night's storm, according to the transit agency. Service on the Red Line between the Belmont and Grand stations has been halted on the North Side because a tree fell onto the tracks near the Armitage station, according to CTA spokewoman Catherine Hosinski, who was citing preliminary information. As a result, trains are operating in two sections -- between the Howard and Belmont stations and between the Grand and 95th stations only, according to the CTA. Shuttle buses will be available shortly. 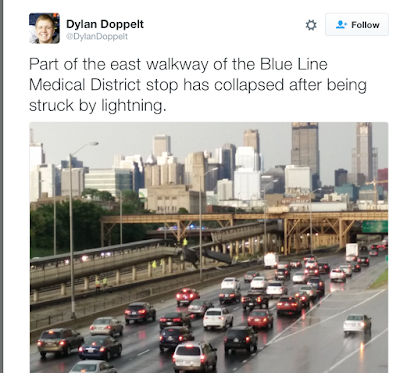 Additionally, Blue Line service is suspended in both directions between Kedzie and Racine stations because a pedestrian ramp which leads from the Illinois Medical District station to the platform was damaged, said Hosinski. Hosinski initially said debris had fallen onto the tracks.